The club’s next General Meeting is Monday, November 23, at 7pm. Following the business meeting, members will package tins with cookies and candy for residents of area nursing homes. The Club meets at the Lake Parsippany a Rescue & Recovery Building- 100 Centerton Dr, Parsippany. 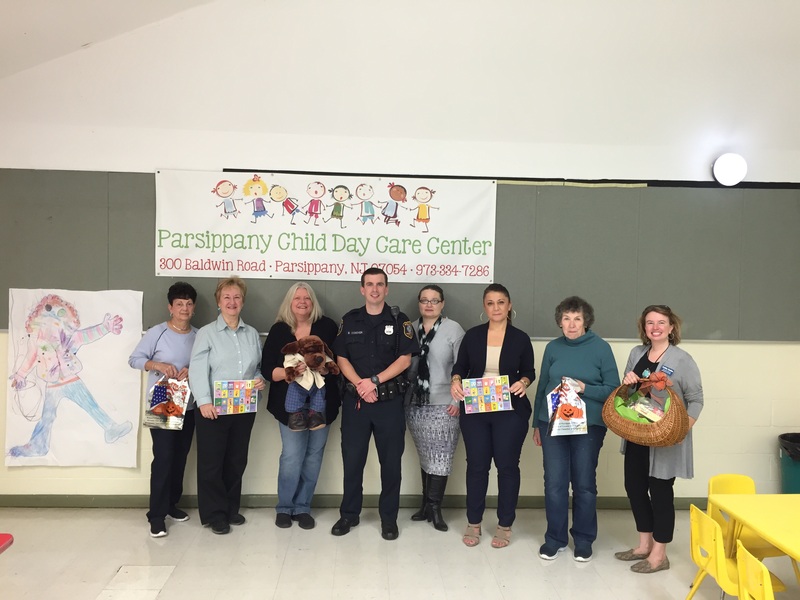 Club members recently visited the Parsippany Child Day Care Center, with Officer Brian Conover, to speak with the children about safety. The children were given Halloween Bags, Police Badges and snacks. A good time was had by all! Ladies Night at the Theater Nov 5!